This is your brain. This is your brain as regulated by your smartphone. As kooky as it sounds, it’s within the realm of possibility – or at least U.S. military scientists believe it is. 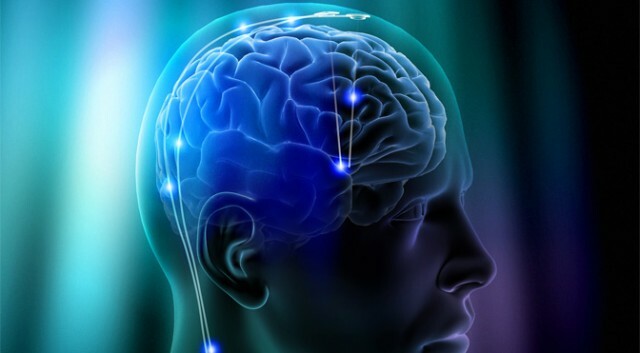 The Defense Advanced Research Projects Agency (DARPA) announced last week that it is working on an improved version of an implanted “brain pacemaker,” or the devices that are currently being used to treat patients ranging from Parkinson’s to deep depression. The $70 million program, which DARPA calls Systems-Based Neurotechnology and Understanding for the Treatment of Neuropsychological Illnesses, is part of the mega-neuroscience initiative announced by U.S. President Barack Obama earlier this year. The military agency, which specializes in far-out science (it created the internet and the computer mouse, among many other things), is hoping to use its discoveries to treat soldiers with post-traumatic stress disorder and other mental issues. When thinking about the Pentagon’s technological research, it’s more pertinent to wonder what its scientists aren’t into than what are they into. The latest doozy from its James Bond-like Q-wing, the Defense Advanced Research Projects Agency, is a real imagination stoker: total transcription of every conversation on earth. DARPA fighting fire with… sound? First, the acoustic field increases the air velocity. As the velocity goes up, the flame boundary layer, where combustion occurs, thins, making it easier to disrupt the flame. Second, by disturbing the pool surface, the acoustic field leads to higher fuel vaporization, which widens the flame, but also drops the overall flame temperature. Combustion is disrupted as the same amount of heat is spread over a larger area. DARPA isn’t yet sure how to scale this sort of thing down to the point where it’s practical and usable. But, with the rate at which technology improves, perhaps the inevitable iPhone 10 will feature a fire-extinguishing app. Here’s a quick question: how many passwords do you have? Probably a lot. A study five years ago by Microsoft found the average internet user had about 6.5, maintained 25 accounts that require them and typed in about eight per day. With the rise of social media since then, those numbers have probably all gone up. At the same time, unless you’ve got Rain Man-like skills with numbers, your passwords probably aren’t all that secure. If, like me, you use the same password for a bunch of different accounts, you’re probably setting yourself up to get hacked (I’m just too forgetful to even try to remember multiple passwords). Fortunately, the military is on it. The Defense Advanced Research Projects Agency – the same people who brought us the internet – has a program called Active Authentication that seeks to give computers the ability to identify their users. The idea is to eliminate passwords entirely, to the point where the computer does its recognition work in the background. All the user has to do is sit down and get to work. This can be accomplished by outfitting computers with an array of biometric tools and sensors, according to program director Richard Guidorizzi. A computer could identify its user, for example, by scanning a combination of his or her fingerprint, their pattern of mouse usage and even writing style. By incorporating such biometrics, the computer could effectively build a “cognitive fingerprint” of users that would be much more effective – and natural – than remembering a whole slew of complicated passwords. 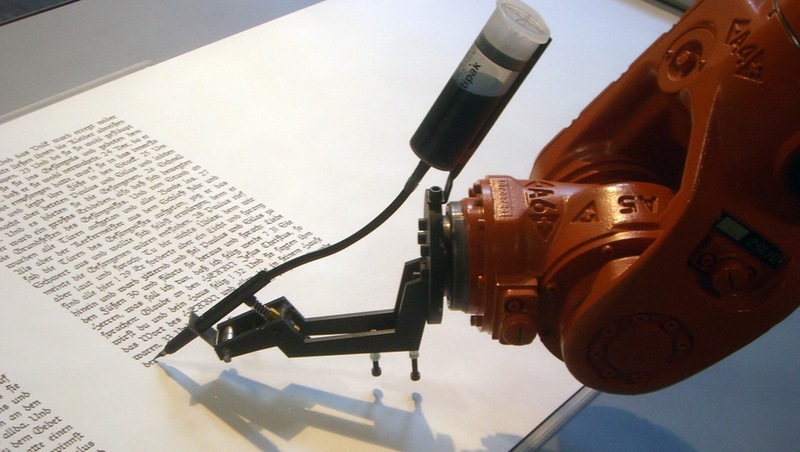 It sounds wacky, but that’s DARPA’s specialty. It wasn’t so long ago that the agency was experimenting with a certain voice-recognition tool, which is now popping up all over the place. The X-ray sniper rifle from Black Ops 2: coming soon to a U.S. army near you. As an avid Call of Duty player, I watched the demos of Activision’s next installment in the popular military shooter franchise – Black Ops 2 – with enthusiasm at last week’s E3. One of the more intriguing parts of the gameplay demo shown during the press conference was a new sniper rifle that can shoot through walls, vehicles and other cover. As Treyarch developers explained to us in a briefing afterward, the gun is based on technology that’s currently being worked on. 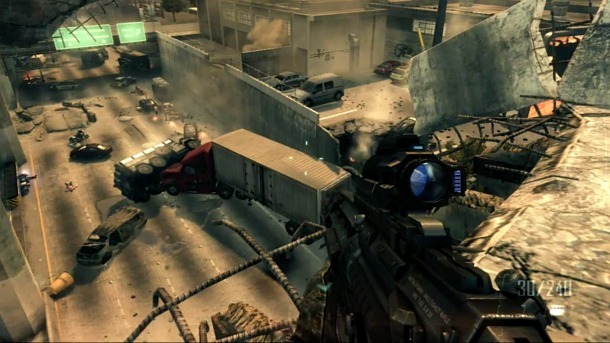 Black Ops 2 is, after all, set in the near future of 2025, where the U.S. military is largely digital, networked and robotic. The Defense Advanced Research Projects Agency, the Pentagon’s mad science division, is in fact working on such high-tech weaponry. The agency has several projects underway, including Military Imaging and Surveillance Technology (MIST) and Dynamic Image Gunsight Optic (DInGO), in this vein. I’ve written before about how the military is also working on changing the propellants of ordinary weapons. Rather than using gunpowder and other combustible materials to shoot projectiles, military researchers are working toward more digitally friendly methods such as electromagnets. These “rail guns” promise to shoot bullets and shells far faster and further. Put it all together and it’s clear that ordinary analog weapons are about to go through the same sort of digital revolution that content industries have experienced. When computing power starts to enter ordinary rifles and Moore’s Law kicks in with regards to new optics and propellants, the sorts of guns in Black Ops 2 will not only become likely, but also commonplace. As an off-hand guess, the year 2025 seems about right. I’m knee deep in the Consumer Electronics Show in Las Vegas so over the next few days I’ll be posting some retrospective – and futurespective (if that’s a word) – thoughts on the show’s past and future. With any luck, I’ll post some cool stuff from this year’s show. Today, I thought I’d start with my most memorable CES experience, which was riding in a robot car at the 2008 show. The car, a GM SUV designed by Carnegie Mellon engineers, was tricked out with GPS, ladar (also known as laser radar and LIDAR) and a host of other sensors, all of which let it drive itself. The Boss, as the vehicle was known, won the 2007 DARPA urban challenge, an open race held by the Pentagon’s mad science division in an effort to spur development of robotic vehicles. I wrote about the surreal experience in a CBC blog post, which you can read here. Alas, if only video were as ubiquitous back then (it’s amazing how quickly things have changed, particularly the field of journalism, which is increasingly relying on video), I’d post a first-hand view of the experience, since words really can’t capture the feeling. Wired actually did so, although the video can’t be embedded – you can see what it’s like to ride in the car by going here. In a story I wrote at the time, GM representatives said fully robotic cars would be on the roads within 10 years, which is only six years away now. With Google experimenting with such vehicles and more automated features creeping into cars every year, we’re well on the way. The U.S. military gets its fair share of criticism when it comes to efficiency, what with the million-dollar screwdrivers it tends to buy and so on, but one thing it is pretty good at is changing with the times. Unlike some industries (cough media cough), the military is doing a solid job of adapting to and taking advantage of technological changes. UAVForge is a Defense Advanced Research Projects Agency (DARPA) and Space and Naval Warfare Systems Center Atlantic (SSC Atlantic) collaborative initiative to design, build and manufacture advanced small unmanned air vehicle (UAV) systems. Our goal is to facilitate the exchange of ideas among a loosely connected international community united through common interests and inspired by innovation and creative thought. The project is taking submissions from the general public until Jan. 20, whereupon voting will begin on who has the best designs, with a $100,000 prize awaiting the winner. This is, of course, a far cry from the good old days, when the Pentagon would simply give Lockheed Martin or Raytheon a couple billion dollars to do it. The bottom line is, designing tomorrow’s war machines isn’t just for mega-contractors anymore. Grab yourself some CAD software, play some Call of Duty and get cracking!